At National Playground, we're committed to providing our customers with the right equipment; not just our equipment. 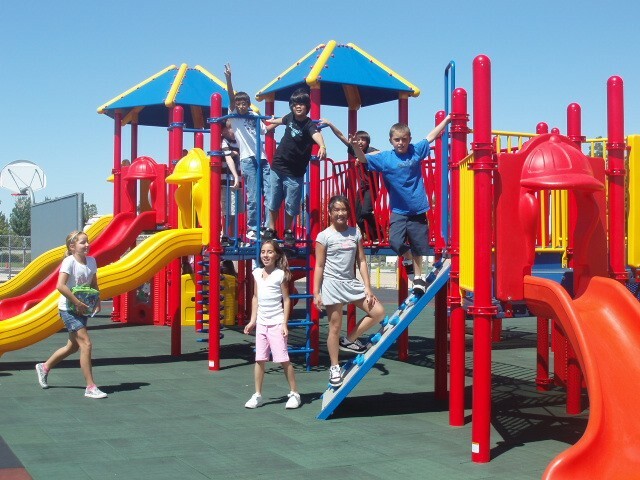 That's why we maintain a large variety of playground products and styles to choose from. Whether your children would be better suited on a traditional or modern play structure is a choice we can guide you towards, rest assured, you will always be given the freedom to choose. After all, who knows your children or students better than you? All parts and structures are built to ASTM standards for playground play components, eliminating dangerous protrusions or potential head entrapments. Deck platforms feature UV-protected, slip-resistant, phthalate-free PVC coating. Galvanized steel structures th UV-protected plastic parts and components deliver long life and durability. Supervision is the most important component of playground equipment for school age children. As they gain strength and balance, they’ll test themselves in ways you never planned…on top of the slide and on top of the swing! 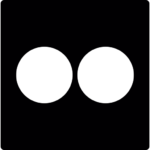 Sure, your equipment has to be solidly built – it will get more abuse than any other type of equipment – but safety has to be inherently built into every piece of equipment, every nut and every bolt. Particular attention should be paid to potential head and neck entrapments and entanglement and protrusion hazards in playground connectors, configuration and components. Surfacing should be selected to eliminate tripping hazards, dangerous bacteria, foreign material and high maintenance costs. DuroMat Extended Life® safety surfacing actually makes supervision easier because there are no dirty, muddy surfaces for parents and caregivers to navigate while keeping an eye on children. Preschool play experiences allow children to use their new-found motor skills in new and imaginative ways. They build confidence, strength and imagination all at the same time. Because they lack much of the upper-body strength of older children, they often get injured while playing on equipment that is too challenging for their physical abilities. Children at this age tend to be fearless! This means that they'll attempt to use any equipment they can find. Therefore, preschoolers should have their own play area and their own play equipment to ensure they develop with a mixture of safe, dramatic and fitness-driven play experiences that are made just for them. 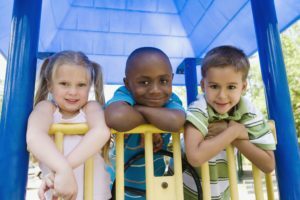 With proper planning and attention to safety, age-appropriate climbers, ramps, slides, stairways, ladders and other play equipment help preschoolers build confidence, strength and imagination in a safe, supervised play environment. Playground equipment from National Playground helps children ages 2 to 5 grow intellectually, emotionally, physically...and safely. As toddlers (age 6 to 24 months of age) begin to explore their new world, they need play events that are safe, imaginative and entertaining. National Playground begins with safe, and doesn’t stop until it’s entertaining! Our crawl tubes, play panels, slides and other components keep toddlers safety below the maximum fall height of 32 inches, in accordance with the Consumer Product Safety Commission guidelines, and entertained with social, intellectual, physical and emotional learning experiences. Toddlers will be fully engaged and safe as they move from learning to sit, balance and stand to running, sliding and leaping their way to new skills and abilities…all on a solid, stable surface. Creative play is limited only by your imagination. 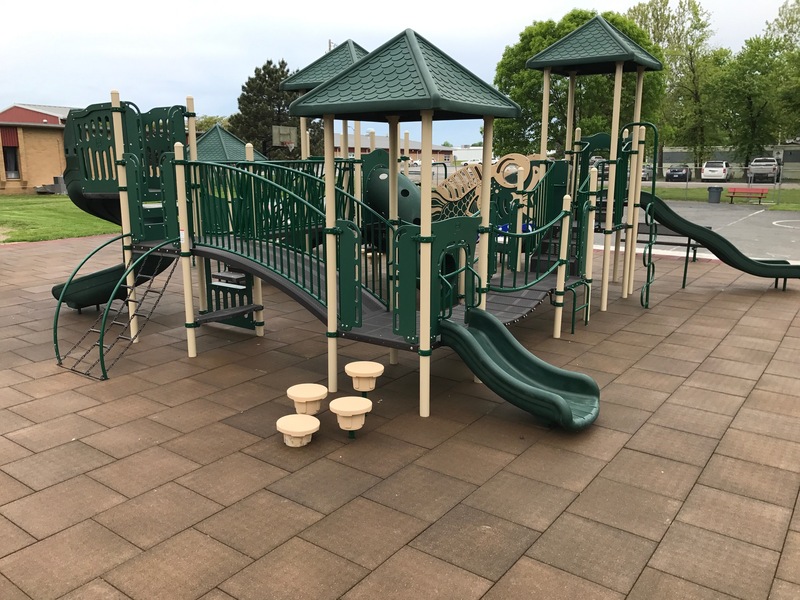 As a manufacturer, we can build a custom playground that meets your specific needs and budget, and allows children to develop new skills and abilities in a safe, fun environment. 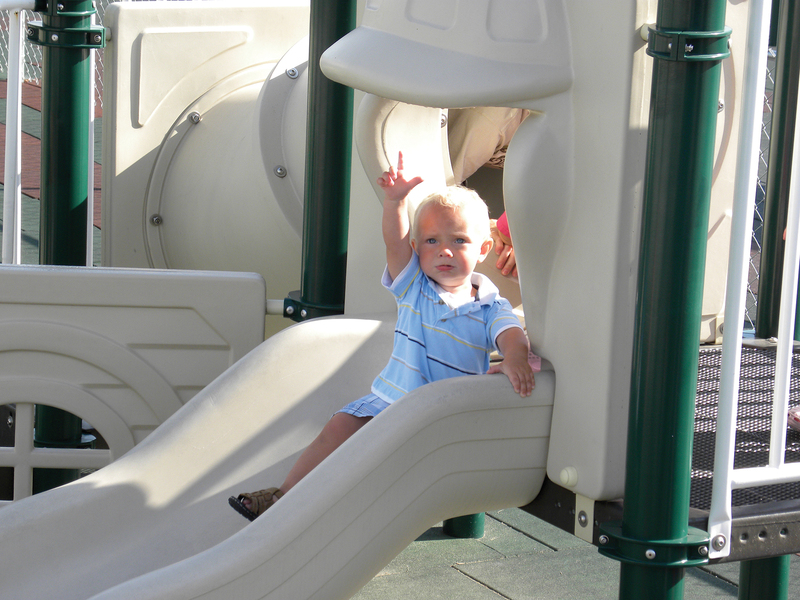 To learn more about what is safe for your Toddler play environment, call your National Playground program manager today!